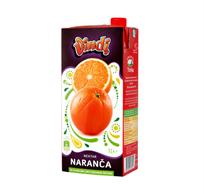 Meet our natural fruit juices made from selected ripe fruit. 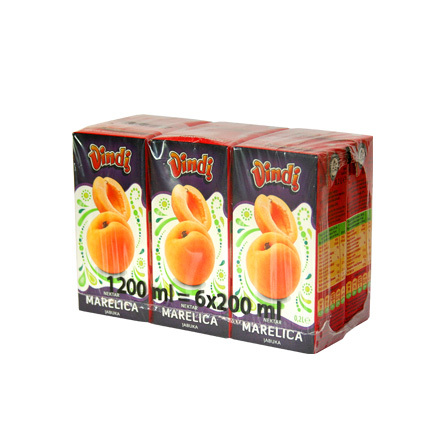 A wide variety of products that will satisfy everybody's needs. 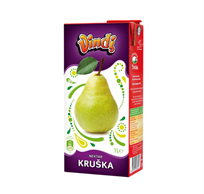 According to the kind of fruit they are made from, we can distinguish between clear, cloudy and fruit pulp rich nectars. 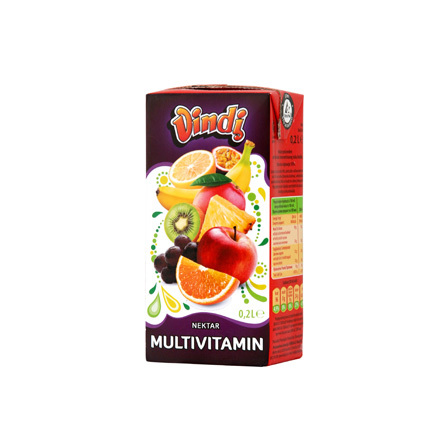 Each one of them is guaranteed to lift you to the magical Vindi world filled with positive energy, exquisite flavours and vitamins! 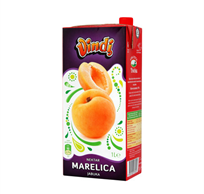 Pulpy apricot nectar is the best way to introduce this group of unique Vindi refreshments. The distinctive, rich flavour and its supreme quality make this product second to none. 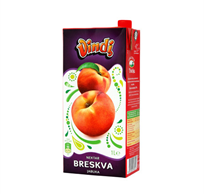 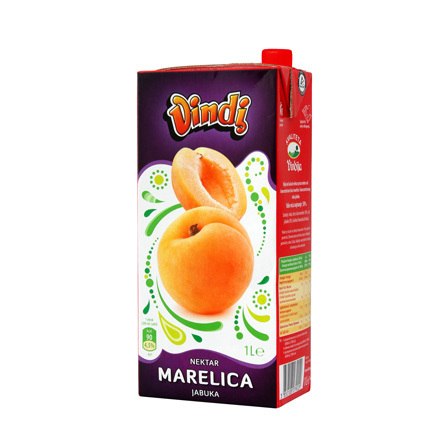 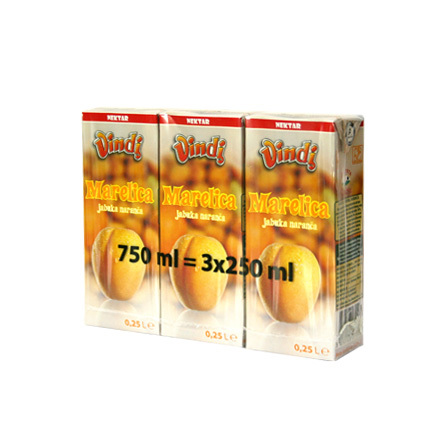 Vindi pulpy peach nectar has been a favourite choice of all generations for many years! 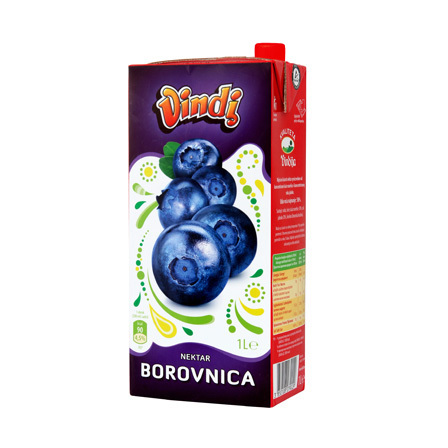 Taste and you will find out why! Imagine a perfectly rich taste of juicy strawberries ... Have you? Now add a little apple and chokeberry and there you have Vindi pulpy strawberry nectar. You will simply adore the harmonious taste of it! 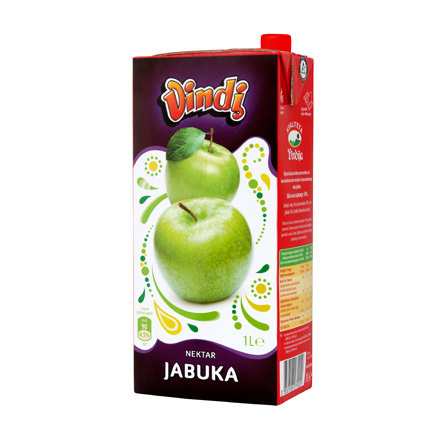 Light and delicious, Vindi clear nectar apple can be enjoyed no matter the time of day – morning or evening. 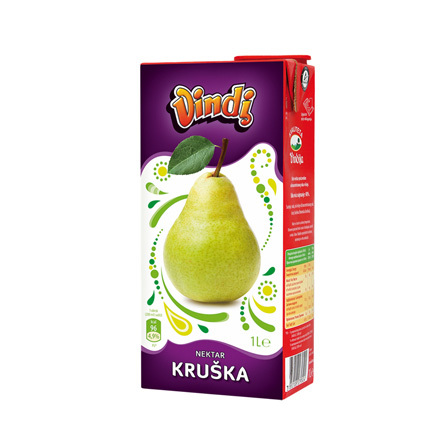 A refreshingly sweet pear nectar is one of the two youngest representatives of this group, and is already outstanding with its rich flavor and an attractive design. 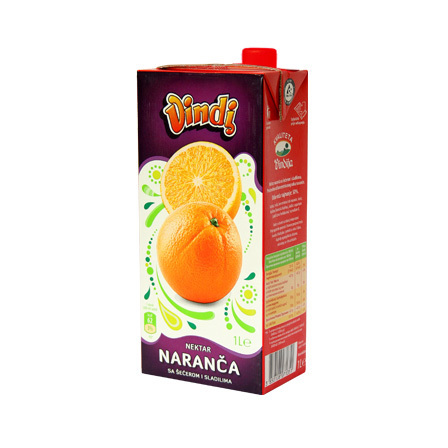 Everything is clear - this pulpy nectar is ready to become one of the legendary Vindi juices! Some people may not be aware of the fact that blueberries protect our cardiovascular system, but everybody is well aware that this a fruit that truly tastes delicious - at least those who have tried Vindi clear nectar blueberry! 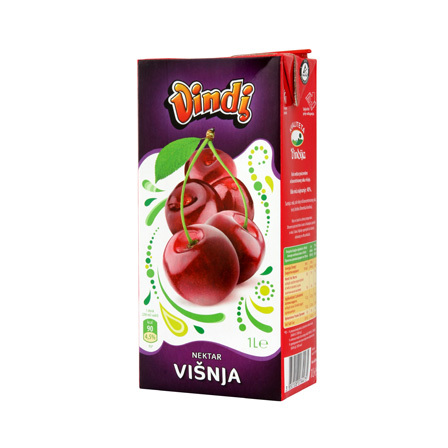 The mildly sour, yet refreshing taste of cherry is best revealed in this version of Vindija's nectars. 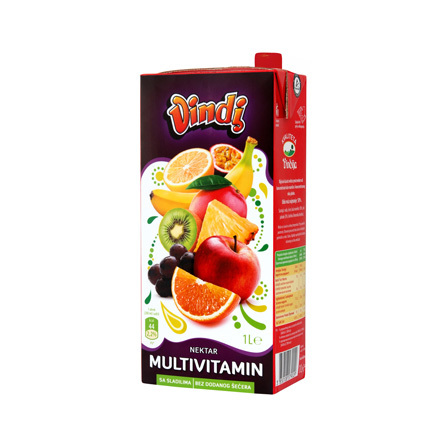 Hold on and brace yourself for a real fruity explosion! 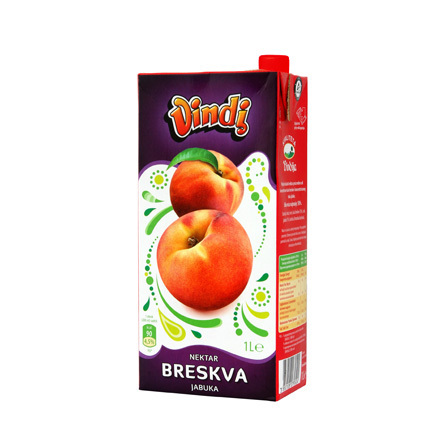 Meet the true classic among our Vindi nectars! Time to stock up on vitamins with Vindi pulpy multivitamin nectar, the refreshing juice leaving you filled with energy! 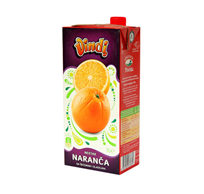 Light nectars are made without adding sugar, and are intended for those who cannot or choose not to consume sugar. 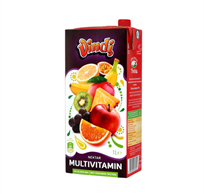 These include ORANGE LIGHT, GRAPEFRUIT LIGHT AND MULTIVITAMIN LIGHT, which are an excellent choice when on a diet as their energetic values have been cut in half.